You’ve just gone out and bought a shiny new audio processor for your radio station. It may have every feature under the sun, but you’ll still need the same techniques and knowledge used on the “set by screwdrivers” processors of old. My motivation for writing this article is having heard some shockingly bad processing on a number of smaller radio stations. It doesn’t take overly expensive processors to sound good. Just a good ear and some patience. It’s possible for different engineers to get completely different sounds out of the same processor. As proof, I know two stations local to me using the same bit of kit. You’d never know it listening to the two. Processing is also an incredibly subjective topic. One person’s idea of “clean and crisp” is another person’s “tinny and squeaky”. For that reason, please don’t take everything in here as gospel! Anyway, the best place to start is knowing roughly what sound you’re aiming for on your station. That doesn’t involve the processor at all. However, if you know what you’re aiming (roughly) for, you won’t get stuck in aimlessly looking for that “great” sound. The content of the station in question should dictate the processing. It’s pointless chasing that “tub thumping” sound on an easy listening service. As you go through setting up the processor, only change one thing at a time. That way it’s much easier to undo or adjust when it doesn’t sound quite right. Talking of which, while a good pair of headphones or a top quality tuner might be a cracking way of checking your output, you’ll want to check the sound you’ve created on a number of tuners. You’ll want a mix of top end and low end tuners to compare on. A cheap bedside radio alarm clock is a good example of low end tuner. In car radios are generally quite good. In fact, that’s what I’ve used in the past at FM TX sites to check the output as I work. Though it’s worth noting that some older Ford head units can be hit-or-miss. Especially when it comes to low bass. My partner’s Fiesta became a bit of an ultimate test – if it sounded OK on there, it would sound OK on anything. Anyway, now that you’ve got an idea in your head and the kit in place, hook up your processor. Make sure you get the input levels set right. Clipping the input will result in everything sounding horribly clipped. Having an extremely low input will result in the processor “sucking up” the audio. That never sounds great and can introduce a lot of noise as that gets “sucked up” as well. You’ll also sound like there’s a lot of bass missing. I’ll assume you’re keeping an eye on deviation and output level throughout the process. You still have to remain legal on FM and not clip the output on digital broadcasts. 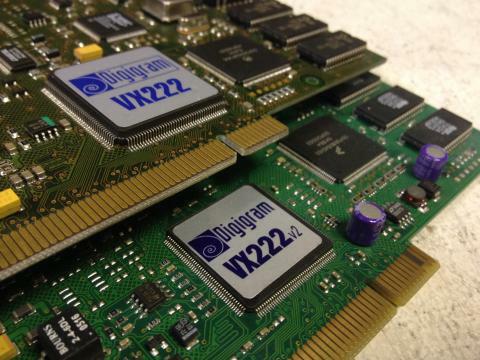 Now that you’ve got the processor installed, start flicking through the manufacturer supplied presets. On some processors these can be a bit shocking and on analogue processors they simply don’t exist. However, if you can find a preset that’s close to the sound you want, it’s a lot less work for you to complete the job. Before you start tweaking every setting known to man, it’s worth having a think about the processing chain as a whole. In most modern processors, the chain is input, AGC, compression, mix, limiting, clipping and output. On top of that, every part of the chain will have an effect on the later stages. That means if you add a few dB of low bass into an early stage, it will generally get exaggerated by the output stage. There’s also what you can think of as an “EQ budget” in all processors. As an example, when you add bass, you’ll inadvertently be removing top and treble. That’s why saying “but I didn’t remove the…” doesn’t make sense. The control might still be sitting at 0dB but you’ve effectively nudged it out. On the other hand, if you’re after a bit more “oomph” in your bass, it might be worth turning the compression ratio down and level up. It may sound a little counter-intuitive but you’ll end up with a much better sound. While we’re on the topic of bass, don’t speed up the AGC level too much. Especially if the processor you have is a single band AGC system. Doing this will generally lead to that “pumping” sound as the beats kick in and out. At the top end, keep an eye out for sibilance. De-essing features built into your processor will help but “backing off” the compression/limiting settings on the top end can also make a difference. 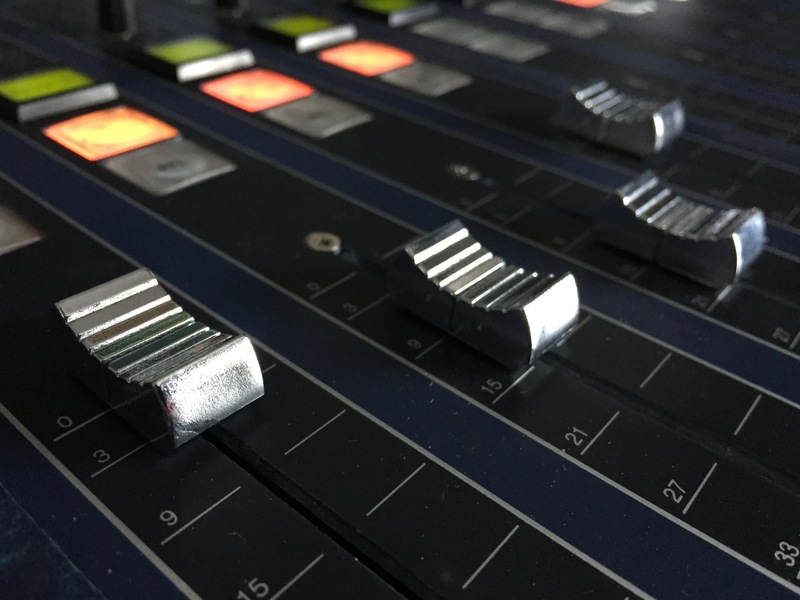 While you’re making adjustments to the multiband compression (and effectively EQ), listen to the station for a number of songs after any change. It might sound incredible on some songs and completely bomb on others. You’re aiming to sound acceptable on the range of music the station plays. Also watch out for going too far with the “bathtub curve”. Removing some mids helps with clarity but you do loose some of the “warmth” in the sound. After you’ve got the overall sound together, there’s still final limiting and clipping to worry about. It’s very much an “adjust to taste” thing and different for every station. Especially as here is where you have the biggest effect on the “loudness” of the station. However, as a guide, you’ll get a cleaner but quieter sound by backing off the limiting/clipping. 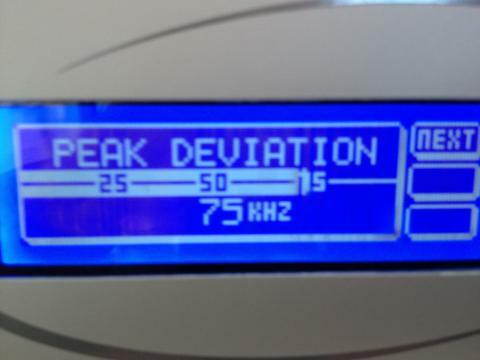 As a tip, I’d recommend comparing yourself against other stations on the dial when it comes to final loudness. It may seem a good idea to be the loudest on the dial but you do still need some dynamic range in order to combat listener fatigue. For that reason, I’d recommend checking the PPM/VU meter on the output of the processor. It should at least be bobbing around a little bit and not directly replaceable with a single LED. And that’s it for my tips when it comes to station processing. Well, other than to say get the opinions of as many people as possible when making changes. A good PC/PD will have a station sound they want to hit and you’ll be working towards making it happen. Oh, and remember to use your ears when making changes. It is after all about how it sounds. Though it is worth sanity checking the settings to make sure you’re not completely cranking all the dials on the unit. On that note, hopefully this’ll help you when it comes to making changes on your processor. I can’t profess to be an expert but it would have been very helpful to have these pointers when I started tackling these things.